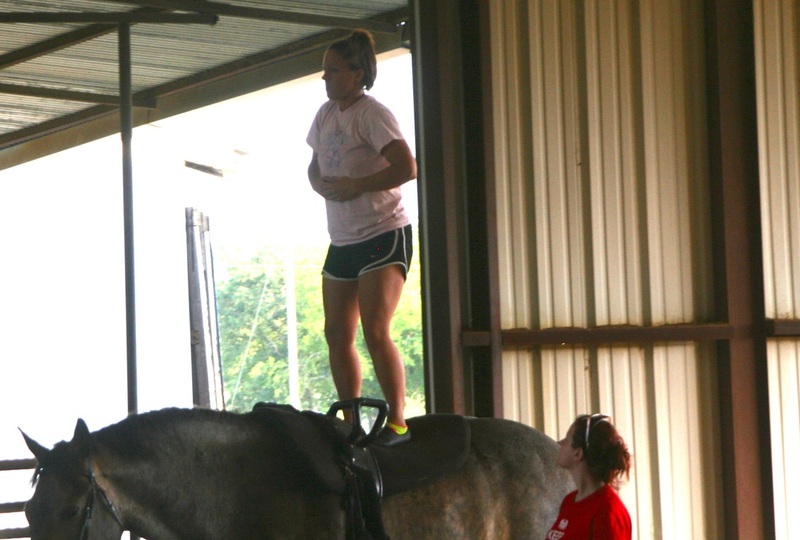 The Gold Star Pacesetters Vaulting Team maintains a year-round schedule of group vaulting classes on Tuesdays. Our Advanced Group practices on Mondays. Private and Semi-private lessons available by appointment. Gold: Working at the canter level for most, if not all, compulsories, able to vault on. Star: Working consistently at the trot and starting some canter work, able to get on somehow unaided. Pacesetter: Our beginners and newcomers working at the walk and some trot, usually need a boost on. Additional fees for competitions/vaulting attire required - find out more here. (817) 975-8916 or contact us.